GREENVILLE, N.C. --- Temple built a 20-point lead in the first seven minutes of the game and held off every ECU rally to defeat the Pirates 85-74 inside Williams Arena at Minges Coliseum Wednesday night. Shizz Alston Jr. scored 23 points with career-high tying seven 3-pointers and Quintin Rose added 19 points to give the Owls (14-3, 4-1 American) their fourth straight win. 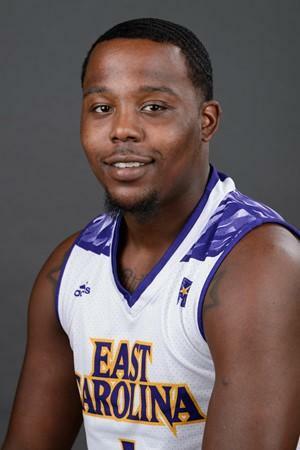 ECU freshman Jyaden Gardner scored the game's first two points, but then Temple rolled off 21 unanswered points -- with nine points from Alston --- making five 3-pointers and 9-of-12 shots from the floor while the Pirates (8-9, 1-4) missed eight straight shots. "Very disappointed with the start," ECU Head Coach Joe Dooley said. "I don't think we've played like that in a while, and obviously a lot of that is attributed to Temple, but we just didn't seem in sync from the get go." The Pirates battled back to pull within eight as clock dipped under five minutes remaining before halftime, using a 17-8 spurt fueled by eight points from Seth LeDay. However, the Owls ended the half on an 8-2 run and led by 14 at halftime, 37-23. Alston finished the half with 12 points on four 3-pointers. ECU made just 7 of 28 shots (25 percent) in the half. ECU scored the first nine points of the second half to start a 18-5 run, pulling to 42-41, but Temple went on an 8-0 run to restore its multi-possession lead. Alston's sixth 3-pointer made it 62-52 midway through the half and ECU didn't get closer than six points the rest of the way. Temple buried 11-of-22 3-point attempts against the nation's third-ranked 3-point field goal defense and finished the game shooting 49.1 percent overall. ECU (.625) and Temple (.636) both shot over 60 percent from the field in the second half. Gardner, averaging a league-best 19.4 points per game, scored 27 points, eclipsing the 20-point mark for the eighth time this season. K.J. Davis had 15 and Issac Fleming (William Penn) 11. LeDay recorded his third double-double of the season with 12 points and 10 rebounds.